Basic computer training is essential to effectively troubleshoot computer devices. There are lots of course available that are quite specialist, but I find the best way to train is to do it yourself. It is frustrating having a broken device. We are so reliant on them in everyday life that is becomes difficult to be without them for any great length of time. Taking your broken device to a computer repair shop takes time and money. Most technical problems experienced by everyday users are generally straightforward to fix. Wouldn't it be useful to understand troubleshooting basics and have the right equipment to hand so you can do it yourself, and saving you both time and money in the process? If this sounds appealing then you have come to the right page. What follows is a mix of basic troubleshooting approaches, hints, tips and tricks. I believe in knowledge sharing. If you know how to fix a technical issue, share our knowledge and let's make everyone's life easier! If you think you have got what it takes to provide your basic computer training to others, then why don't you write your own web page and share your technical knowledge. Other page visitors have risen to the challenge and done just this. Take a look at their web pages and see what basic computer training other have provided. Are you unable to view because of an enabled Ad Blocker in your browser? No problem! Just to let you know there are computer related adverts on my site you may find useful. If you wish to see them you can whitelist my site. Thank you for your time. Repairing equipment yourself is a money saver in the long run. With the right approach and appropriate computer repair equipment, you too can maintain your devices like an IT professional. However, before we get in to the detail, we start at the beginning by looking at different toolkit bags and boxes. You need something in which to store and carry your tools, and as you see in the image below, bags come with lots of compartments. As your tool set increases it becomes easy to lose things. Compartments are a time saver! We then look at the core tools you need to include in your Computer Tool Kit (Opens New Window) bag, or box, such as pen torches. needle nose pliers and paper clips (yes, really!). Before you even attempt to put your basic computer training into practice, you must consider how to keep your devices, components, and especially internal components, safe from ESD, or ElectroStatic Discharge. I have seen ESD in practice and it can kill your hard drive and other components dead in the blink of an eye. A lot of people ignore the risks, and it baffles me. I do wonder if his is because ESD is not harmful to people? The PC Repair Tools (Opens New Window) article focuses on your options for preventing ESD damage, such as wrist straps, vinyl mats and brushes. The PC Tool Kit (Opens New Window) article focuses on supporting tools such as test or analyser cards. These cards are for use inside your machine test your Power Supply Unit (PSU), Motherboard and Hard Disk Drive (HDD), to name but a few. The article discusses each type of card or device, and includes both instructions for use and interpretation of results. Inserting or connecting testers to the inside of a computer sounds daunting. However it really is much easier than you think, and the analyser cards are cheap! There are some advanced techniques discussed in this article, but nothing ventured nothing gained when it comes to developing you basic computer training awareness. To have a robust set of Computer Repair Tools (Opens New Window) includes a variety of adapters. These are required when working with HDD's and different types of PSU's, especially when working with older devices and newer components. Universal Power adapters provide flexibility when working on Laptops. In my experience, when someone asks you to'take a quick look at their Laptop, they inevitably bring the Laptop, and nothing else. How do they expect me to charge it? By air? Also quite often the Laptop battery is not even fully charged. These are the sorts of pitfalls you pick up on with years of experience, and you can learn it by simply reading through the articles on this page. Internal adapters help to expand the number of power connectors inside a computer, for example, to connect additional components such as hard drives if you want to perform a a data copy exercise. External or portable hard drives are also an option. Your Computer Toolkit (Opens New Window) would not be complete without an assortment of cables and components. You never know what you might needs when troubleshooting different types of devices. Different types of RAM, HDD's, PSU's, and cabling such as kettle leads, SATA cables and network cables are all considerations. Just make sure your cable is of sufficient length. There is nothing more frustrating that having the right cable but the wrong length to do what you need to do! When considering Computer Repair Technician Tools (Opens New Window) you should always include components and accessories that will make your life easier and safer. The advances in sound technology allows for lots of things we take for granted, for example watching movies or streaming media online, in high definition surround sound. Increasing broadband speeds and advances in modern computing means you can communicate with friends and family members living thousands of miles away by using tools such as iPad FaceTime and Skype. All you need is a microphone or headset, which you plug into your sound card. However, what happens when your sound card fails? 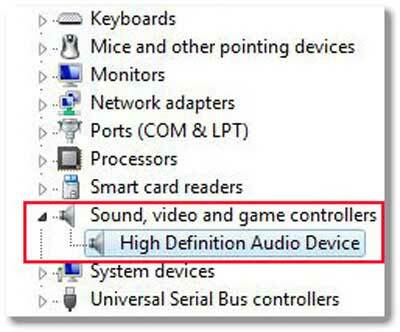 The first thing to understand here, in your quest for basic computer training knowledge, is what a sound card (Opens New Window) actually is. A sound card is known by other names such as an audio adapter and sound board. It is in the shape of a card that slots inside of your computer, and enables you to playback music and record things such as your own voice into a microphone. There are controls within your operating system and external speakers (if you have any setup) to manage the volume. Some headphones have inbuilt mute buttons and volume dials. Your hearing is important so it is essential you are sensible with your volume settings. Once you have a good grasp of what a sound card is, you can learn how to install a sound card (Opens New Window). This tutorial examines each stage of the physical sound card installation process, including all prerequisite tasks and post installation tasks. One you have successfully physically installed your sound card, the next step in the process is to install the drivers. Creative Labs are one of the most popular sound card makers in the world, and therefore by way of example, Creative Labs Sound Card Drivers (Opens New Window) are used to demonstrate the driver installation process. The process in a Microsoft Windows environment is very similar irrespective of the make and model of your sound card. If you want your new sound card to work correctly, you need to install the drivers issued by the manufacturer, rather then the inbuilt Windows drivers. This is because they are technically more compatible and provide more functionality. Now you have your drivers installed, everything should be working fine. However one day you come across a problem. Is your Sound Card Not Working? (Opens New Window). In this tutorial we look at troubleshooting approaches, following a well know computer professional methods. Generally you check your peripherals e.g. external speakers are plugged in correctly, then move on to software checks such as sound settings and device drivers. If these checks do not resolve your issue, it is time to check internal components (simply 're-seating' the sound card can fix an issue. Basic computer training provided by the tutorials in this section can give you the confidence to try troubleshooting computer issues yourself. The approach regardless of the problem is approximately the same. WikiHow (Opens New Window) provides excellent general advice on how to troubleshoot a computer. Fixing technical issues yourself is not always straightforward, but it is certainly not impossible. Give it a go! Your tutorials, suggestions, hint and tips will help countless others! Contribute now. Enter Your Title e.g. "How I Fixed My Graphics Card Issue"
They will appear on a Web page exactly the way you enter it here. You can wrap a word in square brackets to make it appear bold. For example [my story] would show as my story on the Web page containing your story.